The Hammer Black Widow Spare bowling ball is the deadliest polyester ball around! It features Hammer's proven Gas Mask Core with a shiny polyester coverstock to give the bowler more hook and core motion in a polyester option. The Gas Mask core is used in 14-16# weights, but has a standard pancake weight-block in 12# and 13# weights. This hot looking ball is sure to catch the eyes of Hammerheads across the world! Love spare balls that give me the same visual roll as my striking equipment. This ball does just that since it has a black mask core. I don't have to alter my release to throw it straight since the plastic cover rolls evenly throughout the lane. This is a must for bowlers with high rev rate and slower speeds. 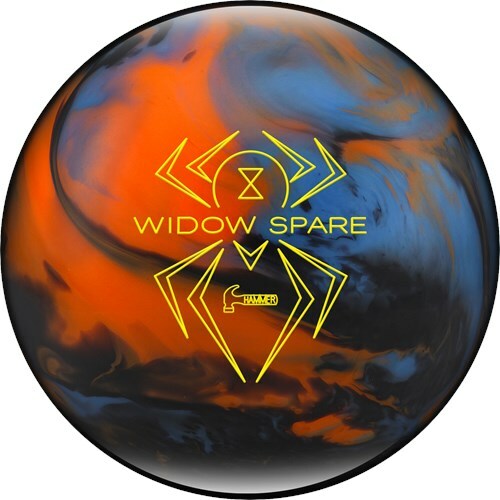 So stop missing your spares with your strike ball trying to alter your release or throw harder ... just add this Black Widow Spare ball to your arsenal and watch your scores increase!! This is a terrific spare ball very consitent and it looks amazing. It surprisingly has some hook to it when the lane dries out so watch out for that. Other than that I love throwing it every chance I get. This ball will have no hook to it and will only bowl straight for it is a plastic/spare ball. Does the 13# have the gas mask or does it start with the 14#? Hello! This ball will start off with the gas mask core at 14#. Can I get this ball with a weight of 14 lbs9 ozs? You can request for this information at the end of the order page int he "special comments" box. You can request for the specific weight information at the end of the order page int he "special comments" box. Yes, that is correct! This is an excellent spare ball that will bowl straight. Unfortunately the lightest weight this ball is available in is 12lbs. We do not have a 10lb ball like this. For this ball, there is no option for a pin placement for it is a straight/plastic ball. 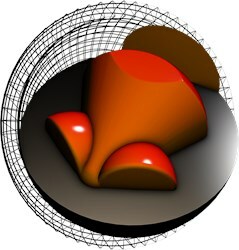 This is not a reactive hooking ball. How much does the Widow hook? This ball will not have a hook to it for it is a spare ball that only bowls straight. is this ok for left handers? do i need specifications for getting holes drilled? Since this is a spare ball, you would not need to specify for left or right hand. This ball will bowl straight. If you drill your hook balls fingertip grip, do you drill this one the same? That is a better question to ask your local driller. Due to the time it takes to produce the Hammer Black Widow Spare Blue/Orange/Smoke ball it will ship in immediately. We cannot ship this ball outside the United States.